The phrase “New Year’s Resolutions” around this time of year can be downright cringe-worthy to hear for some of us. Every January 1st comes and goes, and according to the polls the most commonly set resolutions are to eat healthier, lose weight, and spend more time with family. While innately these are great things, and should be desired anyway, there are some that just go gung-ho with their goals and are not realistic with themselves. It’s tradition. It’s cultural. You might be concerned about the idea of your child falling into the world’s dangerous mindset that they need to look or behave a certain way now that there is a different number on the calendar. 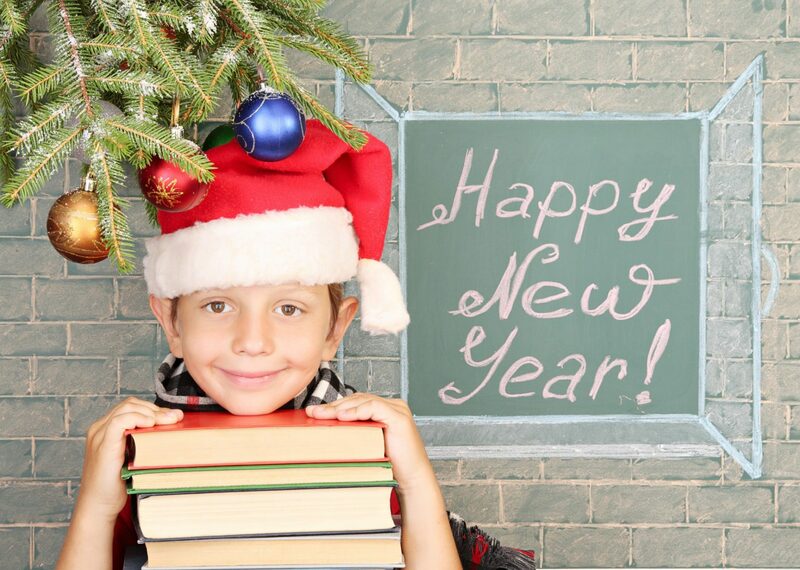 It is for this reason we’ve compiled some noteworthy New Year’s resolutions children have set for themselves – and we hope they will encourage you to help your children set their own! Do not confuse a resolution with a rule, like “go to bed on time” or “finish your homework every night” – this is a given. A resolution is something out of the ordinary, going beyond every day expectation, yet still leading to stretching and self-improvement. However, ensure that these are attainable, or at least reasonable goals. If there are too many, or something that the child is not interested in at all, certainly encourage it, but do not press it. Make sure these are things you BOTH want! The best part about this will be engaging your child to discuss where they are at, what they want to accomplish, and to not just help them be what they want to be “when they grow up”, but to stand by and help them grow here and now. No more than 2 or 3 resolutions are really necessary. They could be centered around your child’s health, character, or physical challenges. Once they have been made, print them in bold letters on a sheet of paper and tape it to your child’s wall. This will be a constant reminder for them to continue and pursue their goals. Pledge to set aside at least 15 minutes every day to read (either alone or with a parent) outside of school. Before bed is usually a good time. Set a goal to make a new friend (or two!) at school or a regular activity. Pick one day out of the week (Saturday is probably best) and let that be your “candy day”. From now on, you cannot have candy any other day of the week! Practice complimenting at least one person per day. Try a new sport, after school activity, or hobby and practice it consistently for at least 3 months. (For girls) Grow out hair long enough to donate to Locks of Love. Practice limiting video games to only 30 minutes on weekdays and NO phones whatsoever at the dinner table. Learn how to do a new chore (mowing the lawn, sorting laundry) and alternate doing them alongside siblings or parents. Find foreign language flashcards and memorize the basic site words. Donate a bag full of toys you no longer want or play with to a local shelter or children’s hospital. Any of these can be adjusted to fit both the goals your child wants to set and the amount of effort you want to spend in holding them accountable. Having these goals in visible view is key, whether they be on the refrigerator, in their locker, or hanging up in their bedroom. If one of their resolutions is not recurring and has been completed, check it or cross it off the list. This will give your child a feeling of accomplishment, and will hopefully inspire them to set another! So named due to the time known for starting to gain “wisdom” (late teens, early 20s), wisdom teeth are a third set of usually 4 molars that appear behind the six and twelve-year old molars. Many children begin experiencing the signs of early wisdom teeth forming, which is why at times this can be a topic of discussion and concern even at a pediatric dentist level. Thirty percent of people are born without them, and not everybody has exactly four – in rare cases, some only receive two, or three, and some even get five or six. 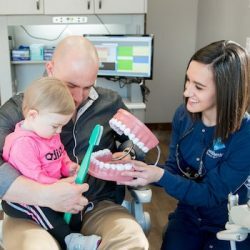 Most children do not have to be bothered with wisdom teeth until adulthood, but those who are ahead of the “growth curve”, (perhaps lost most of their baby teeth very early) have been known see signs of complete development as young as 14. Wisdom teeth extraction is usually performed when there is impaction, or the x-rays show the teeth coming in will be problematic. 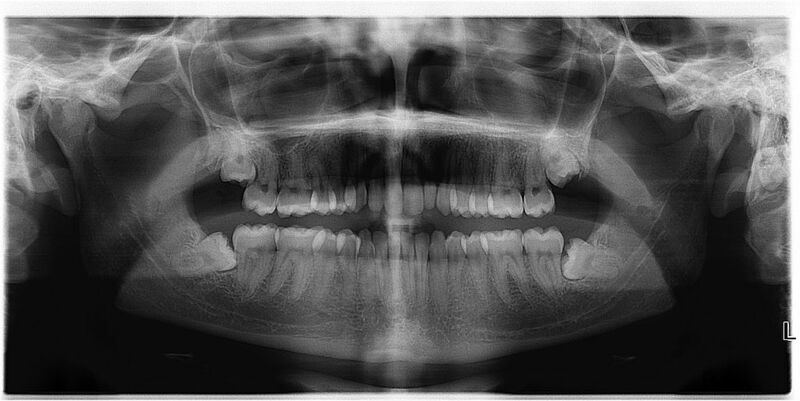 Usually the x-rays from your routine dental exam act as a good indicator of if and when an oral surgeon should be seen. Symptoms may include but are not limited to: tightness of teeth, gum tenderness behind molars, slight jaw pain or pressure in other teeth, and of course, teeth breaking through the surface. Partial eruption is when the wisdom tooth begins to break through the gums. Thankfully, if the teeth appear to be growing in straight, then they can be extracted the same way a normal tooth would be. However if they are impacted (growing in crooked), they will begin to affect their surrounding teeth. If this remains untreated for an extended period of time it can lead to sores, then infection, and sometimes decay. That is why early wisdom teeth extraction often for preventative reasons. Ask your child’s dentist if there is an oral surgeon he or she would recommend. They can vary in uniqueness and different methodologies. 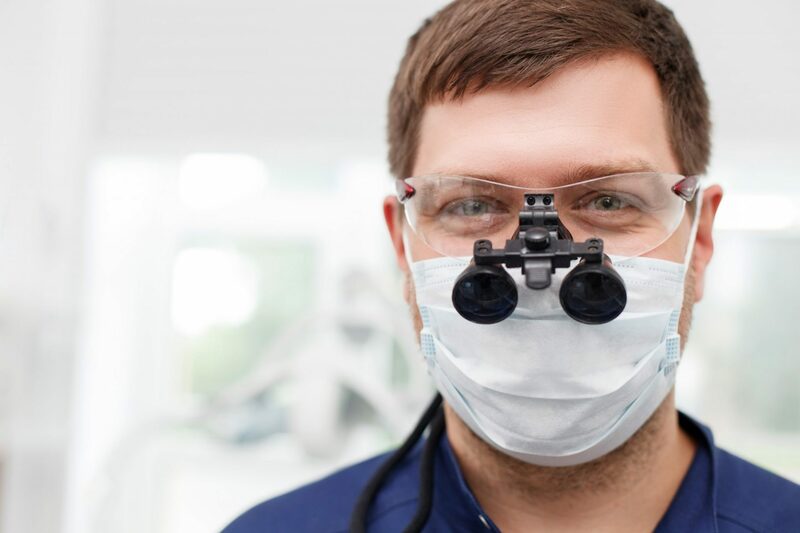 Most patients require nitrous oxide (laughing gas) and local anesthesia, but some surgeons have the qualifications and authorization to sedate patients if the procedure is deemed more severe. For those with already intense anxiety at the dentist, an oral sedative (usually Valium) may be prescribed to the patient for added comfort. 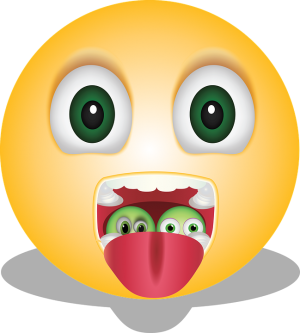 Every mouth is different and will entail maneuverings specific to the situation. The surgeon will typically meet with the patient (and in the case of a minor, their parents as well) prior to the operation to go over exactly what the plan of action is, using x-rays as a form of reference if necessary. This will allow the patient to be well-informed about pre-extraction protocol, and will also give the surgeon the benefit to know about any accommodations that they might need. Oftentimes the doctor will require a parent, loved one, or good friend to be present at the appointment to understand the methods which to look after the patient post-extraction. After the wisdom teeth have been removed, there are certain things to expect the 24 hours following. Replace moist, clean gauze every 45 minutes over the empty tooth sockets until bleeding stops. Moist tea bags may also be effective as the natural tannic acids in tea can help the blood clot. If necessary, alternate ice packs on either side of the face in 10 minute increments to reduce swelling. For pain, it is recommended to use Tylenol, or Ibuprofen (which is also an anti-inflammatory). It is not uncommon that heavier pain killers are prescribed by the surgeon in advance. Oftentimes antibiotics are also given to the patient if there is any pre-existing infection in the gums. Make sure solid food is not consumed the first few days. As for teeth brushing, avoid the teeth around the sutures for 24 hours and then resume brushing, but very gently. Ask anyone who has had it, dry socket is the worst. This occurs when the scab formed over the extraction becomes dislodged; exposing the jaw and sensitive nerves. This can cause intense pain for 5 to 6 days. It can be prevented by not drinking through a straw and not swishing liquid around in the mouth. If this occurs, contact your oral health care provider. Most individuals in their life will have to deal with their wisdom teeth at some point. With any luck, these extra molars will grow in straight and not require extraction. Some oral healthcare professionals believe in acting sooner rather than later if the need arises. The x-rays taken at your child’s regular oral check-ups will be a good indication to your dentist as to when would be a good time to see an oral surgeon – even if your child is only in their teens! Keep an eye out for those emerging little friends… and in the meantime, do not forget to floss between your back molars! It’s getting to be that season again! Forget any other time of year; it is safe to say that society can be the least frugal during the holidays. Yet no matter how much love you have towards your family, nobody wants to be in over their eyeballs in credit card debt come the New Year, and yet that’s the place many Americans find themselves in long after St. Nick comes to call. A recent statistic shows that the average citizen spends an upwards of $800 on Christmas presents, and this number only continues to grow from year to year. Whether you have 1 child or 5, and whether your income is substantial or lacking, everybody likes to save money. But where do we draw the line? Ever tried doing a total DIY Christmas? Sure, you may save some money, but after the initial cost of supplies and the intense amount of time it takes, one can begin to question if it is even worth it or not. Here are some of the most frequently suggested tips from experts on how to shop this holiday season. #1: Set a budget. It may sound like an obvious statement, but keep reading. The most important thing about setting a budget is sticking to it! First, decide on a number you are comfortable spending. Always try to set it a little higher than you normally would – you may not want to, until the moment comes when you’re inches from a display window and regretting the original number set. Setting an unrealistically low number can cause a splurge later. One way to deter from overspending is by taking out your entire budget in cash. Cash is tangible, visible. If you plan to primarily shop online (see #2), cash can still be counted. The solution is to record the exact amount of money that was charged (luckily most online shopping sites have a transaction history feature in case you lose track). From there, subtract the amount spent online from the cash. #2: Shop online when you can. Unfortunately, there are just some things you can’t always find online. What is more, items like clothes are very difficult to distinguish online in terms of determining their true size. More often than not, online shopping is cheaper, however. According to consumer-retail experts, there are certain days of this season that can prove cheaper than others. You can find a lot of kids toys on Amazon for significantly less than the big-names. November 1st-11th oftentimes holds sales for what is called Early Black Friday. Items are known to be marked down 20%-30%. Check big-name retail store websites over the weekend, BUT wait until Monday to buy – by then, they will have matched their competitors. December 1st is cyber Monday. This is the day you are more likely to find deals 30%-40% off, especially on specific websites like DealNews.com, UrbanOutfitters.com, OldNavy.Gap.com, and Shop.Nordstrom.com. #3. Make a list. And check it twice! And prioritize. Sometimes the people closest to us can be tricky to shop for. If you go into a store with the mentality of “I’m only going to spend $30 on this person”, but you have no concept of what to get them, then you aren’t going to spend what you set out to. If the saying is true, that it is “the thought that counts” – be thoughtful! Pay attention. Try to find something they might need, or lack, even if it is not something you yourself would consider a gift. Oftentimes making a list prior to setting a budget works for some individuals. It provides a much better understanding of what needs to be spent if you are to follow through. 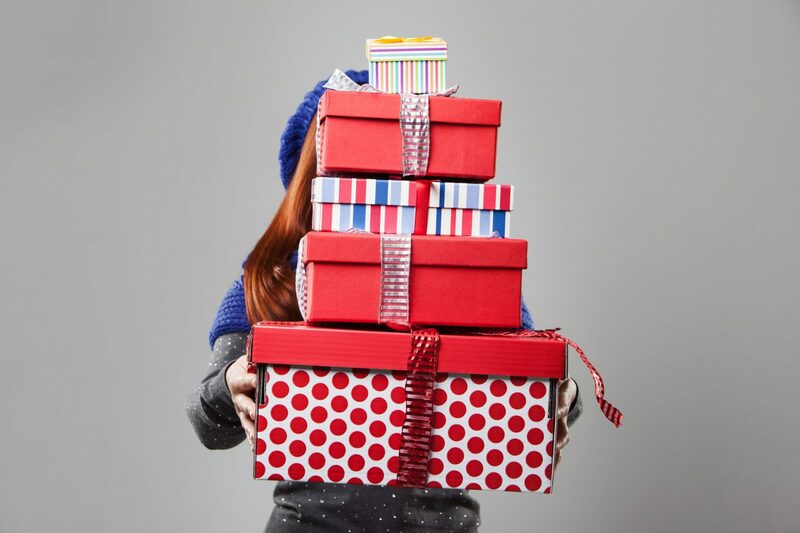 If it seems like it will be too much, try to shorten the list or get a less extravagant gift for an extended family member you normally wouldn’t spend that much money on. This will also help in getting the best possible deal. For example, if you have decided, resolutely, that you are getting your daughter-in-law a Crockpot, then by golly, you are going to find the very best deal on a Crockpot humanly possible. All in all, we know that Christmas isn’t all about the gifts, but about family. Remember the reason you celebrate and the reason the season is in place. Do not let pressure to get the right gifts overwhelm you. Spending every weekend during the holidays at the mall is no fun. This will set a good example to your children as well – instilling the value of traditions during this season can contribute to some of their fondest, warmest Christmas memories. * Please note all costumes are from different sources and ideas and their authors were compiled using Pinterest. Let’s be honest, Halloween costumes can be pricey considering what you get. They are usually made with cheap fabric, purchased in a plastic bag, and never guaranteed to fit perfectly. If you are after something unique and custom, that can get even more expensive! It seems like a lot of trouble to go to for just one day. These costumes are a great way for you and your children to craft together; to create a costume designed to suit them and go easy on your wallet! 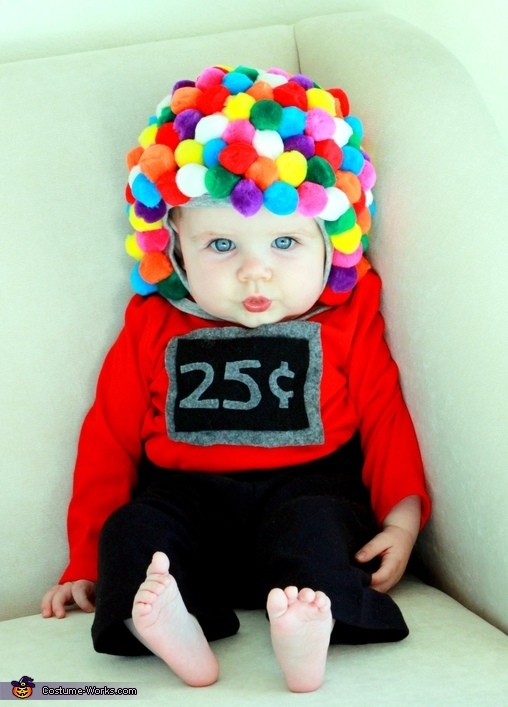 Purchase a soft cotton knit infant cap (found at a second hand store or online) and use a glue-gun to glue brightly colored pom-poms onto it. Try to find a red one-sy that has a turtleneck, so it gives the illusion of connecting the candy to the dispenser. Then, cutting felt into a square and a sharpie, create a $0.25 sign on the shirt and top off with black pants. There are some variations, like perhaps using a blue turtleneck instead of red or cutting out a felt $0.25 instead of drawing it on. It’s so adorable and can be used for infants and toddlers alike. any other miscellaneous objects that you would like to spray paint silver and stick to the body or helmet of the robot. Have fun with this! Cut out a large hole at the top of the main cardboard box for the head, two smaller on each side for arms, and the bottom side completely off – this hole will be used to get the child in and out of the costume easily. Spray paint the box silver, assemble it with various buttons – customize it however you like! Then add computer parts, a fuel gage, or buttons. You can also spray paint two (2) liter soda bottles and glue them upside-down to the back to create a jet pack! Measuring your child’s arms, glue-gun two flexible ducts to the arm-holes and adjust them accordingly. For the helmet, a similar concept applies. Make sure the lid is secured to the shoebox and then cut a hole at the bottom wide enough for it to rest on the top of your child’s head. Add buttons and paint lids to the sides with a glue gun, and then spray paint the whole thing once the glue is dry. For the legs, cut two more flexible ducts according to your child’s leg length and slip them over their pants, which looks best if the pants are black. Cover their feet in tin foil, and viola! Does your little one love unicorns? This one is fairly simple and yet so cute! As you can see, the ears, mane, and horn are on top of the hood. 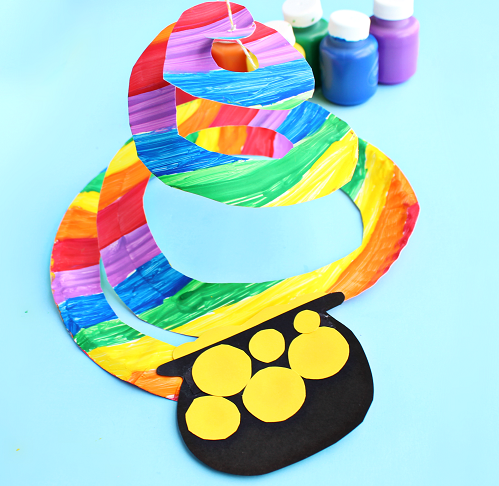 To make the horn, roll a few pieces of construction paper into a horn shape (however long or wide you would like). From there, wrap a piece of white felt around it and secure it with a glue gun. Cut the bottom off so it is flat and can sit neatly on the head. For an added flair, wrap a gold ribbon around the horn and secure it as well. 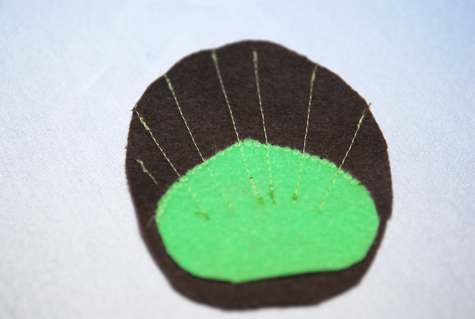 For the ears, cut two ovals with two pointed edges, using white felt to the desired ear size. Do the same with the light pink felt only a half-inch smaller. Glue the pink felt on top of the white felt and then pinch one side and glue them so that the pinched end can be inserted into the head piece (see image). For the felt flowers pictured, look up felt flowers on Pinterest as there are many different tutorials to choose from. Glue the ears on each side underneath the horn. Then along with the mane (described below) secure them to the front edge of the hood. Add the felt flowers as desired after this process. For the mane, take all three skeins of yarn and wrap them around the palm of your hand about 10 times. Then tie a single string around the middle to secure it tightly, and cut both ends – similar to how a yarn pom-pom is made. Continue making these over and over and tie them together until you reach desired mane length. The tail is made similarly, except the strands are much longer. Wrap these from the inside of your thumb to your elbow several times; however thick you want it to be. Then, similarly to the mane, take a single strand of yarn and tie it around the continuous loop, and then cut the opposite end of the loop so the strands dangle like a horse’s tail. Lastly, cut a large oval in the light pink felt to cover the torso on the front of the sweatshirt. Glue gun it to the front, but try not to cover the openings of either sides of the front pocket. Most of these items, if not all, can be located at a Goodwill or thrift store near you. The hat may be the trickiest part; and because it is more complex and step-by-step, we have linked a separate tutorial here. Patches can be cut into squares from scraps, or unwanted plaid shirts and sewed on as desired. 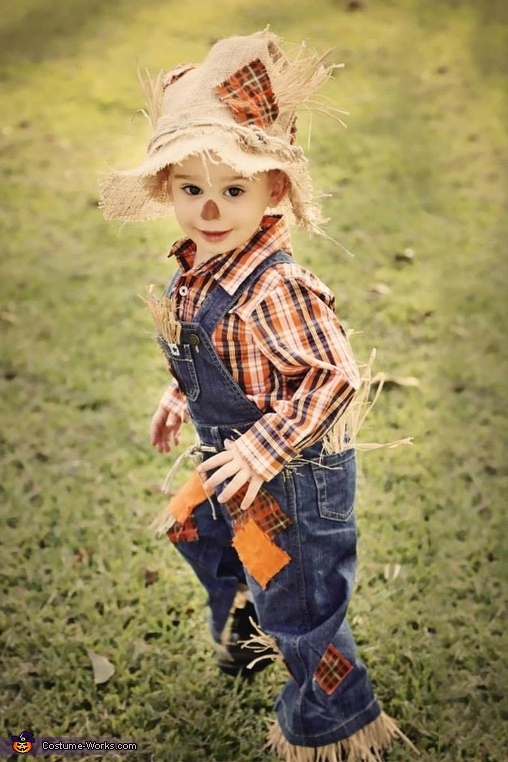 The raffia should be coming out of the pant legs and the tops of the overalls to give the illusion of the scarecrow being stuffed with hay. This can be created by simply cutting the raffia into 6-inch strips and sewing them to the inside hem of the pockets and pant legs of the overalls. Once your overalls are decorated as desired, take some brown lipstick, lip-liner or eyebrow pencil and draw in a cute little nose! Brown, green, blue and navy felt. Or buy an assorted pack of felt. Ribbon of any color coordinating with tutu. 1/2″ is best. The eyes of the peacock feathers are probably the most complex part of this costume, but after this it is fairly simple. First use the felt you have in various colors and cut them to match this idea: One large brown oval, one lime green and teal chestnut-shaped piece (one being slightly smaller than the other), and a Pac-Man shaped navy piece. Before you attach them to the elastic, create the tutu next. Take your colorful strips of tulle and cut them into thick, long strips. Fold in half, and loop them around one side of the elastic (to go around the waist) and pull through – similar to a reef knot. You may do this, all around the elastic, or you may seclude it to the back to give that added peacock flared-out look. Andrea’s notebook used her darker tulle (the browns and dark blues and greens) on the outside edge of each side of the tutu, and reserved the brighter colors for the middle – probably to emphasize the feathers. When all the desired tulle has been attached to the elastic, then attach the felt peacock feathers by simply tying the ends of the ribbons to the elastic. The tutu looks best with a royal blue shirt and black leggings. It’s so darling! Let’s be honest, back-to-school shopping may easily be the best part about going back to school! But with multiple kiddos to buy for, it can get very expensive. There’s a statistic that states an average American family can spend over $600 during this season! If you have children in college who need textbooks and dorm accessories, that could easily double. Here are some creative and cost-effective ways to make that end of summer shopping just as enjoyable. You may not realize it, but there’s a chance you already have school supplies in the house! An in-home office is a great place for kids to find old binders and folders that are never going to get used again and re-decorate or repurpose them. It can make a way to teach children how to make something their own and can even free up much-needed space in the office as well. If last year’s pencil box is just as functional as it was when it was first purchased, do not opt for a stylish brand new one that they are bound to get sick of in another 3 months. It’s a vicious cycle not worth getting caught up in. If it works, keep what you have. Kids can be very competitive in nature and change their minds quickly – seeing their friends have something trendier than them, trying to keep up, will just be throwing cash down the drain. The good news is that trends tend to recycle. 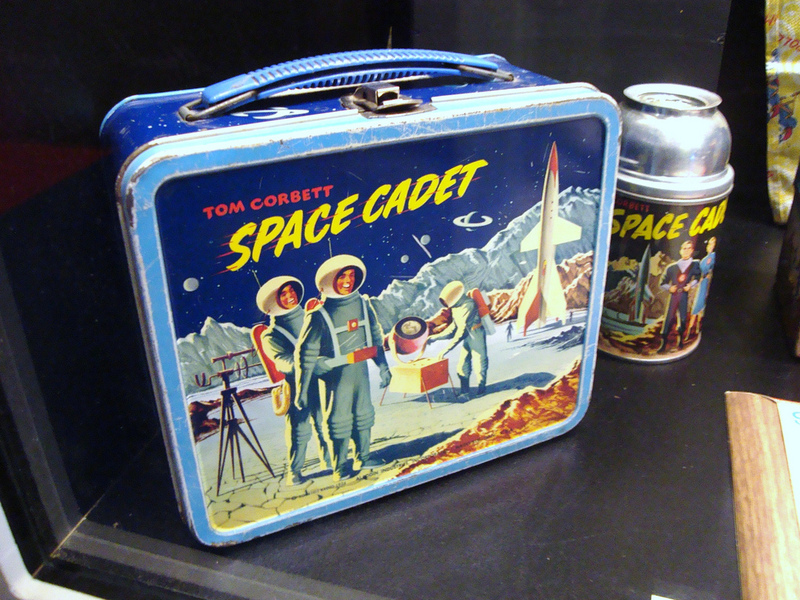 An example of this would be a metal lunch box. A very old design that was not really seen during the childhood of most Millennials; these have made a strong comeback in the last five years or so as a popular collector’s item. Before you rush to the advertised back-to-school clothing section – usually long-sleeved and autumnal in style – check out the summer clearance section first. 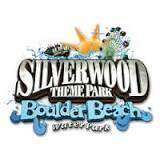 These are going to be the cheapest because of the closing season. Kids typically wear t-shirts well into fall and even early winter, depending how they layer their clothes. The difference in style is not going to be that drastic and can be accommodated for colder temperatures. For example, if a girls’ brightly colored summer dress is on clearance, find a neutral pair of leggings that can match. Throughout the year, solid-colored layering pieces can be anybody’s best friend. Your child may want to buy extra supplies, but if they are not on the list chances are an opportunity to use them in school may never present itself. Tip: a lot of notebooks, pencils, erasers, crayons, etc, can be located at the local grocery store for much cheaper than well-known department stores. When it comes to simple school supplies, try to find as many as you can the next time you go grocery shopping. It could potentially save not just money, but time as well! If the local grocery store does not have everything you need, also check out your local dollar store. 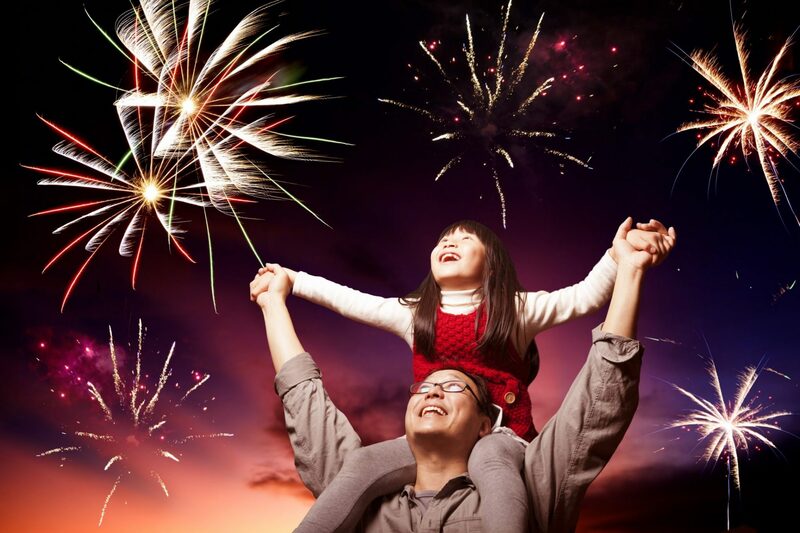 Not only do they have a wider selection, but a lot of them have fun and colorful themes. If your child does not have younger siblings or cousins of the same gender to give their outgrown clothes to, sell them online for cheap. The little extra work it takes is a win-win: you get the items out of the house to make more room and you make a few bucks. Gently used clothing, especially name-brand, can be in high demand when other parents like yourselves are trying to find cheaper clothes online. If you aren’t that internet-savvy, garage sales can be used to sell unwanted items and also buy used clothing. End of summer is the perfect time to hold a garage sale and to go shopping in them. If you have lots of children in your neighborhood, you might be surprised on how much you can find and sell! 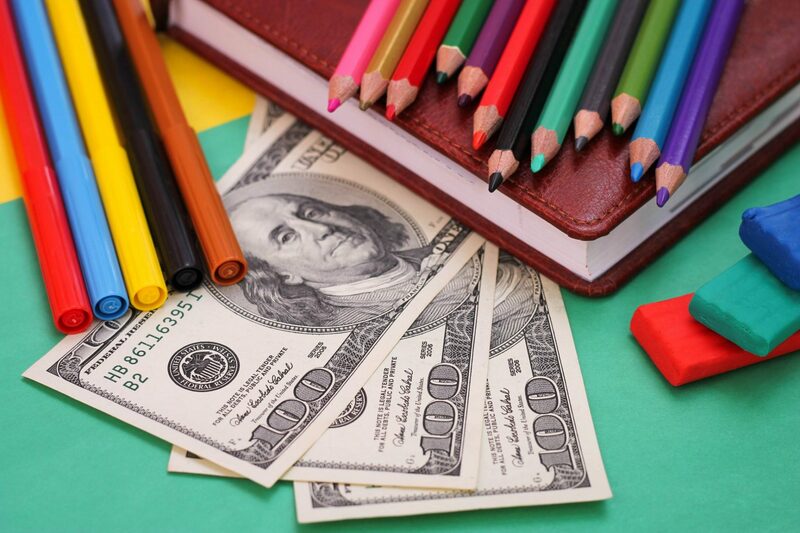 Go back to school in style and save money. Regardless of house size and ages of kids, end of summer shopping can be a breeze! Is running through the sprinklers just not cutting it? 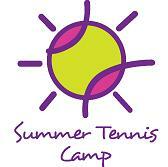 Summer opens up a whole new avenue of fun activities for children. But if your little ones are aching to see more outside their backyard, here are some awesome family fun activities happening in the area. In this engaging exhibition, birds, horses, sheep, cows, bears, and more serve as the subjects of works of art from the 17th century through the late 20th century. 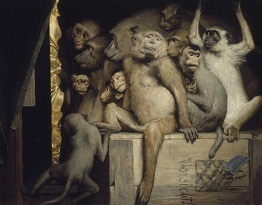 Perennially popular as an artistic theme, animals have been depicted in works of art since pre-historic times. This exhibition examines etchings, engravings, lithographs, sculpture, oils and watercolors that depict the tremendous variety of the animal kingdom. 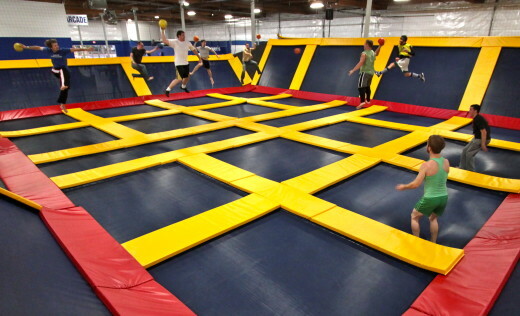 Kids of all ages love going to Sky High to jump around, practice tumbling, or diving into a giant foam pit. It’s great for parties or on a rainy day! 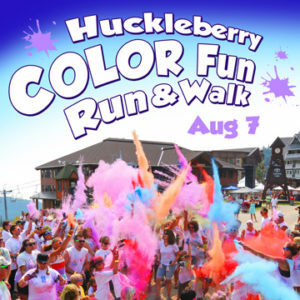 A marketplace, performance space and a gathering place for friends and families, this yearly event is the highlight of the summer in Coeur d’Alene. Art on the Green is held at the old Fort Sherman Grounds on the North Idaho College Campus, just a short walk from Downtown and City Park. Shuttle bus service to the west side of the NIC campus from downtown is also available during the festival. No dogs are allowed at Art on the Green. You can run or walk on this super fun and family friendly course. In a magical kingdom beneath the sea, the beautiful young mermaid Ariel longs to leave her ocean home to live in the world above. Based on the classic animated film, Disney’s The Little Mermaid is a hauntingly beautiful love story for the ages. With music by Academy Award winner Alan Menken, this fishy fable will capture your heart with its irresistible songs. 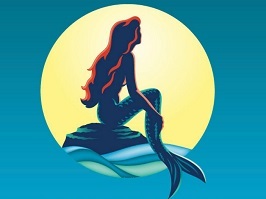 Ariel, the daughter of King Triton, wishes to pursue the human Prince Eric in the world above and bargains with the evil sea witch to trade her tail for legs. But the bargain is not what it seems and Ariel needs the help of her colorful friends to restore order in the ocean’s depths. This dangerous mission leads to a showdown between good and evil, which only love can remedy. 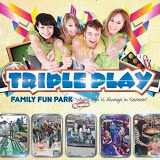 Indoor water park, bowling, arcade, race go-karts, and even stay the night! Over 60 rides and attractions, with 6 awesome roller coasters, 2 wave pools, loopy water slides, an amazing magic show, and endless fun! School is almost out! That means that kids will be spending a lot more time eating at home or out on vacation with family. A lot of times this season can get us off our regular schedules and sometimes even our crucial daily habits! It can also bring about more opportunities to indulge in tasty summertime favorites that can cool us off, but contain a LOT of sugar- ice cream, slushies, popsicles, etc! Luckily, there are ways to satisfy your little one’s sweet tooth without taking a chance of cavities and without the “sugar crash” later. 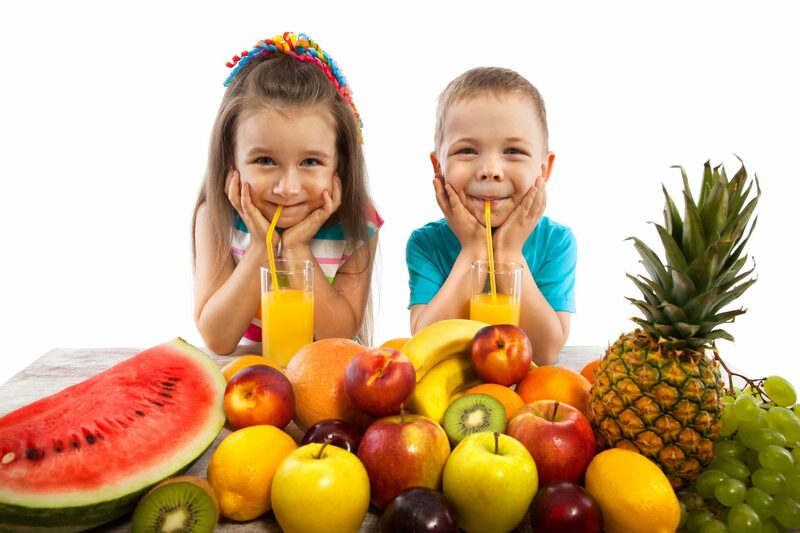 The best way to eat sweets AND take care of your teeth and body is to eat fruit! The best time of year to eat fruit? Summer! 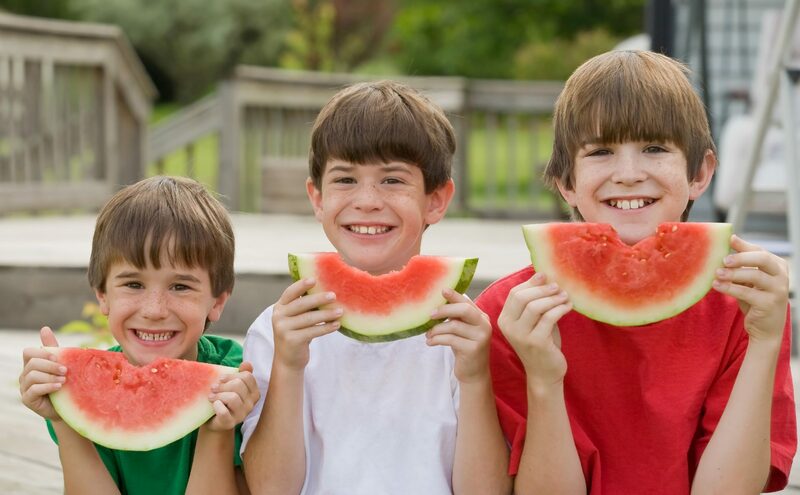 Warmer weather makes seasonal fruit (pineapple, watermelon, mango, etc) more readily available and ripe to consumers, allowing you and your family to expand your options. ***Please take note that the saying “too much of a good thing” still applies here! 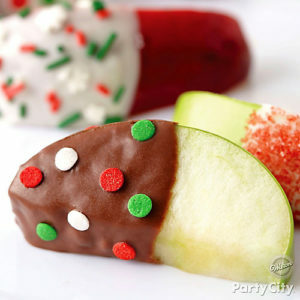 While fruits are most likely the least harmful sweet treat they can still be overdone! A classic favorite, with endless variations. Set aside fruit you want to use for smoothies and store them in the freezer. For whole fruits, such as mangoes, pineapples, bananas, etc, make sure you peel the skin and chop them up before freezing! As for berries, make sure they have been cleared of stems and leaves. First, choose fruits that are complimentary. Strawberries and blueberries go well with almost anything, as do bananas. Try to avoid mixing all citrus fruits (too acidic), or all tart fruits (too sour). Next, pick your base. 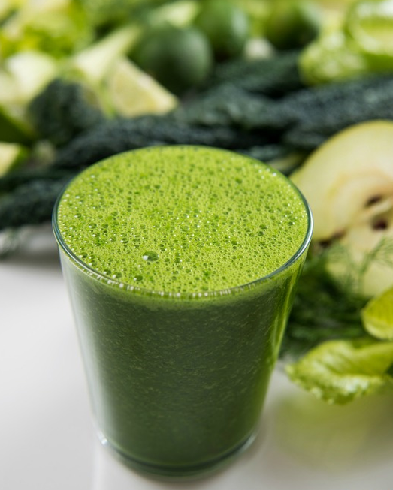 The juice inside the fruit is not enough, otherwise your smoothie will be too thick! For a creamy flavor, use coconut, almond, or regular milk. For an added citrus flavor, use orange juice. Add water for the purest taste. If it is still too tart, add a tablespoon of honey to your mix. Finally, make sure that the base you have picked fills up the blender enough to just barely cover the top of the fruit before blending. This will ensure the smoothie will not be too thick or watery. Blend and enjoy! A new trend – fun and very pretty! Boil sticky or sushi rice (1 cup rice to 1 ¼ cups water). Then, mix 1 ¼ cup coconut milk, and add ¼ cup sugar (this is the only added sugar in the recipe, and you may use less if desired). On a sushi mat, spread out the rice flat into a square, covering the mat. 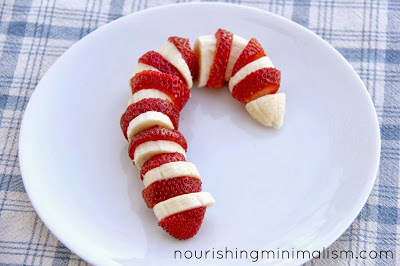 Cut desired fruit into thin, lengthy strips. Roll tightly, chop into pieces, and viola! If a sushi mat is not something you have at have at home, you can try a variation of Fruishi that looks like sashimi. Roll balls of sticky or sushi rice into ovals, and thinly slice fruit to lay on top. It looks so fancy and the kids will love the taste. Easy, simple, and relatively self-explanatory. Use berries and chop fruit into bite-sized pieces and stick onto a wooden or plastic kabob. This can be fun for kids because they can create patterns of fruit and add however much they want of each fruit onto the skewer. 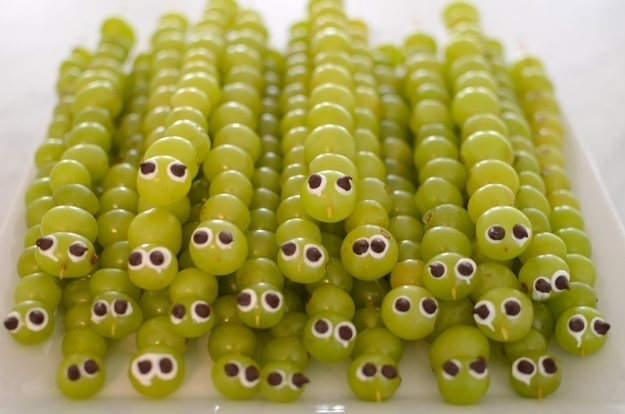 For more visual appeal check out this caterpillar grape kabob. 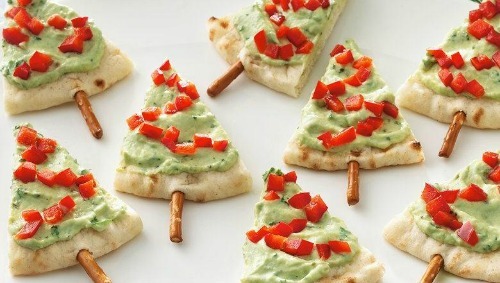 They’re cute, and its something kids can create as well! Using red and/or green grapes, spear each grape on its short side. For eyes, use miniature chocolate chips and attach with very small amounts of vanilla frosting. For easy placement, simply dip the flat edge of the chocolate chip into the frosting before sticking it to the end grape. You will need: a popsicle mold, popsicle sticks (optional), 2 kiwis, 1 cup of chopped watermelon, 1 cup of chopped mango, 1 cup of blueberries, 1 cup of chopped strawberries, and 1 cup raspberries. In small food processor, use the “puree” setting for each portion of fruit. Be sure to rinse between uses. Keep adding layers and freezing until full. Once the last layer is added and solid, remove from the freezer and dip the bottom of the mold in warm water for an easier release of the popsicle. Remove and enjoy! St Patrick’s Day is here and marks the beginning of our long-awaited Spring season! Whether you’re Irish or not, many of us like to celebrate by wearing something green for the sake of not getting pinched, and looking for rainbows and a pot of gold. St Patrick’s Day history isn’t common knowledge, however, so here is a little bit about the holiday before we get into some fun ways to celebrate with your kid’s and family! In America, St Patrick’s Day started with the Irish soldiers who served in the British Army; a celebration of Irish Patriotism. The first Parade was held in New York in 1762 and continued to grow with the immigration of the Irish during the Great Potato Famine. Previously in history, this day was celebrated as a pause from the season of Lent with a religious feast in Ireland honoring St. Patrick and his Christian evangelizing of the Irish Country. Today, celebrations are decidedly less religious and continue to showcase the strength and pride of the Irish heritage. some pretty green hand paint, that’s all you will need! 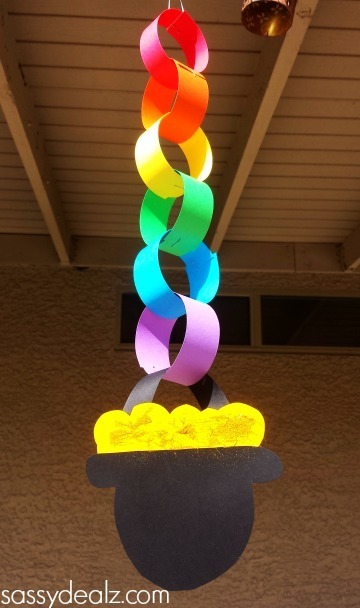 This colorful craft is nice to hang in an open window or even on your porch. Who say’s there isn’t gold at the end of this rainbow? Stir together dry ingredients, then add the wet ingredients including the coloring. Stir continuously until the mixture has formed one large clump. Dump out onto your counter and knead with your hands. Let cool and let the kids play! Sprinkle gold flecks onto the dough before you knead or let the kids have fun with the glitter! 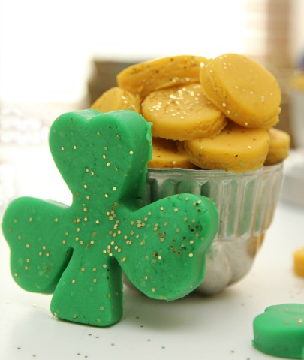 Create rainbows by making different color dough and use a shamrock cookie cutter to make it festive. This makes about 1 ½ cups of play dough and will last up to 6 months stored properly in a ziplock bag with little air as possible inside the bag. 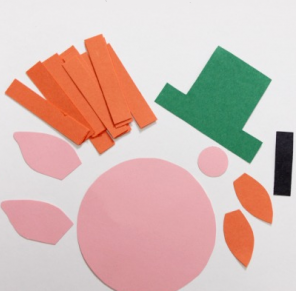 Cut your construction paper in pieces like those shown here. Glue away! 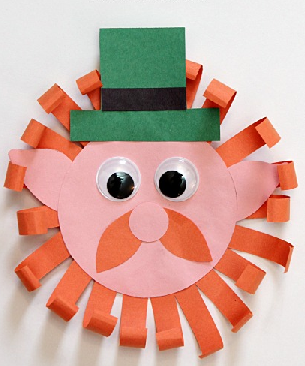 You can even hide these around the house and let your little ones hunt for a leprechaun! Blend until smooth. Add more water or milk to make a thinner consistency. Makes a great snack or breakfast addition! 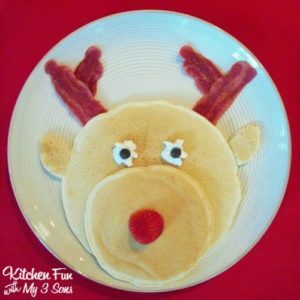 You don’t have to be a magical artist to make some cute and nice crafts with your kids, so have fun and make something together. Happy St. Patrick’s Day!